Surfers Paradise is a mecca for family holidays. Unabating sunshine, endless golden sand beaches, theme parks, and a heaping of incredible attractions about sums it up - except one crucial aspect - dining! 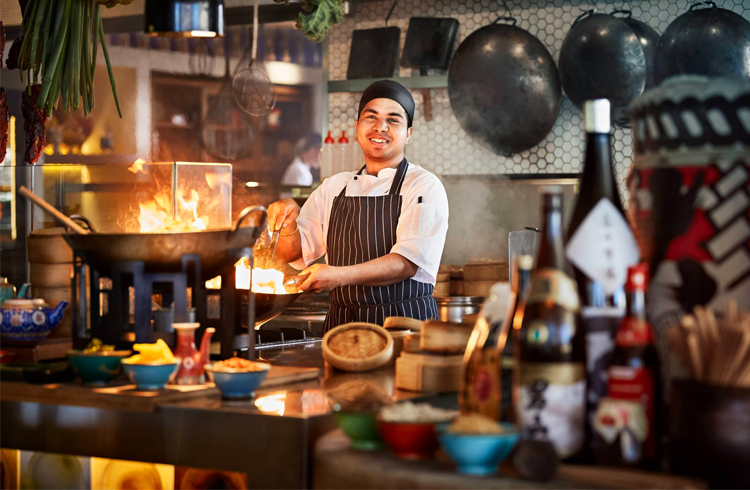 Read on for our favourite family dining spots! Think Dinner and Show at Misono. 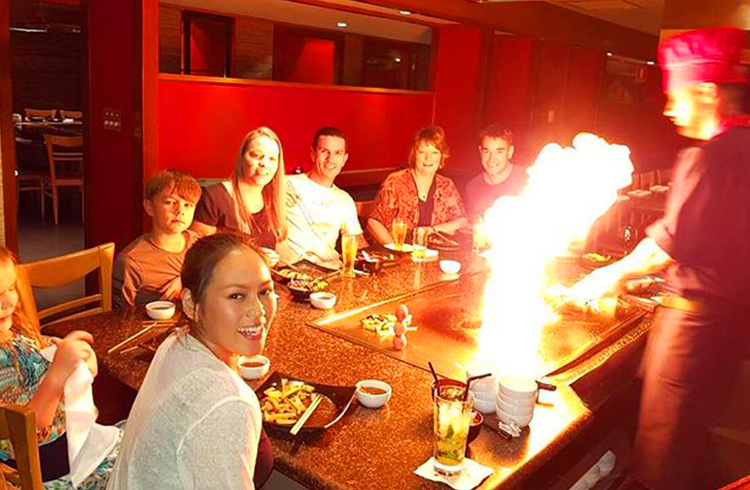 As well as the tepenyaki being out of this world good, the kids are so enthralled by the chef’s incredible performance there is no time for whining about vegetables, dining preferences or being bored. Plus it’s a nice break from nuggets and chips for the kids. Well… you are on holidays! Plus you can’t argue with multi-award winner and family owned and operated. As well as the most incredible pancake varieties you can imagine, they also have an array of ribs, steak, chicken, fish and salads (but we recommend the pancakes!). 10 Beach Road, Surfers Paradise. This one is out of the heart of Surfers, but the award winning coffee, kids playpen with chalk wall, toys, teddies and games is worth it! Plus their babychinos are free when you buy another drink. You can also indulge in breakfast all day. 19 River Drive, Budds Beach, Surfers Paradise. Facing the Nerang River, this cute little breakfast nook is a great escape from the hype and buzz of Surfers. 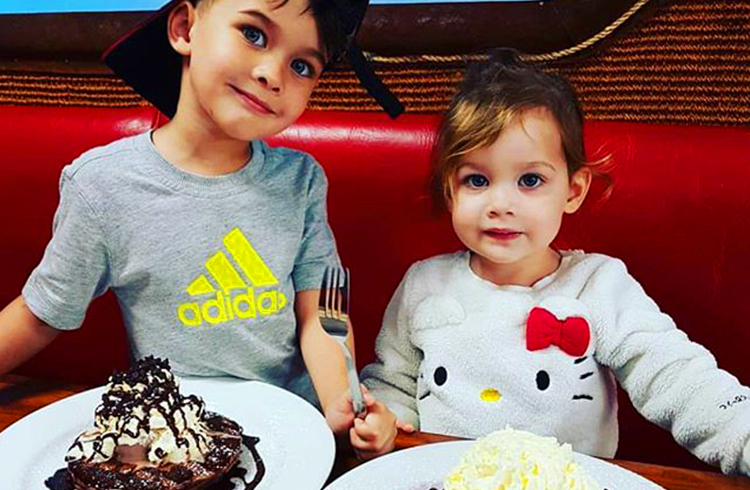 Their menu is catered towards the little ones with kid-friendly versions of the big breakfast and their amazing vanilla pancakes. Buffet. Need we say more? Kids love them, and parents will love this one in particular, as the cuisine here is phenomenal. Plenty of options are made to your specifications, while others are ready to enjoy immediately. our specifications, while others are ready to enjoy immediately. Are you looking at getting the family away on an unforgettable Gold Coast holiday? Talk to our team at Discover Queensland on 1300 788 553.